Dr. David Lungren: I am a Certified Instructor for the following agencies; California Department of Justice, Utah BCI (Multi-State Concealed Weapons Permit), NRA Pistol and Personal Protection, and a Range Safety Officer. 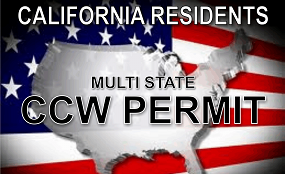 I am approved to teach CCW Courses for the following County Sheriff Departments; El Dorado, Placer, Sacramento, San Joaquin, Sutter, and Yolo. I also served 6 years in the military. Before retiring as a chiropractor I was the director of a Whiplash and Spinal Trauma Center and a Certified Medical Examiner. I’ve had years of experience teaching thousands of patients how to understand complex orthopedic and neurological injuries so they could better manage their condition. As an “Expert Medical Witness” I have been called on to testify many times on behalf of injured patients. I apply this same level of expertise and training to every class and to every student. When out and about, shopping, running errands, or going on a walk? When violent criminals break into your home? During an “active shooter” in a public place? We have the answers to your questions and the training to keep your family safe. How to safely handle and carry your firearm. The permissible use of a firearm for self defense. How to avoid confrontation and dangerous situations. How to successfully defend yourself. What to do immediately after a shooting. Why Should you get a CCW Permit? The better question is why wouldn’t you? Protect yourself and your family. Don’t be caught defenseless!